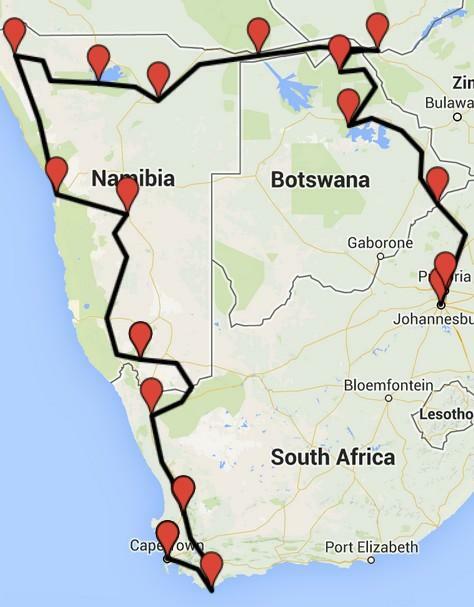 Explore the South of Africa! 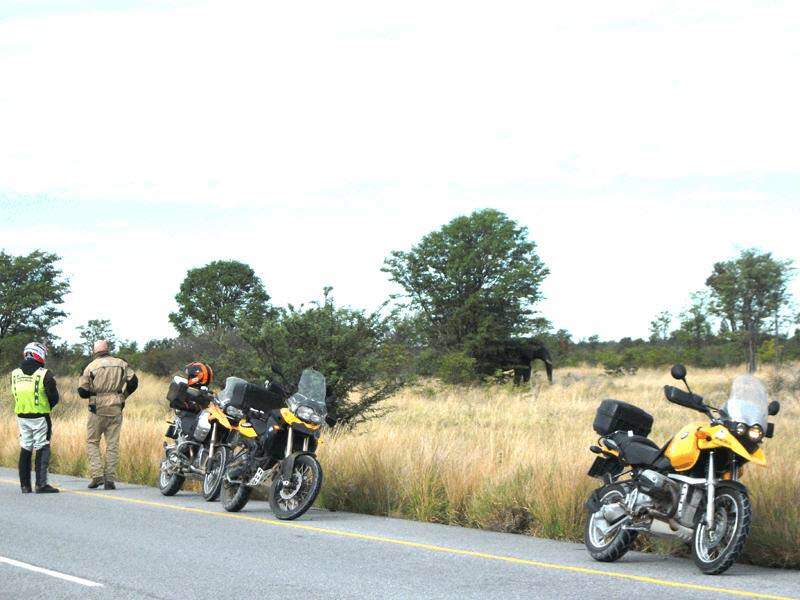 Ride through four countries: South Africa, Namibia, Botswana, Zimbabwe and dive into the spirit of Africa’s south. Enjoy this incomparable natural landscape with its variety of wildlife. Ride through breathtaking, remote scenery from green and hilly regions through grassland savannas, colorful deserts to coastal highways. Glide along rivers and visit deep canyons. Look out for the BIG 5! Come and join us for this unforgettable motorcycle adventure. This one-way tour starts in Pretoria, South Africa, and will take you through Botswana, Zimbabwe and Namibia then to South Africa’s beautiful city of Cape Town. 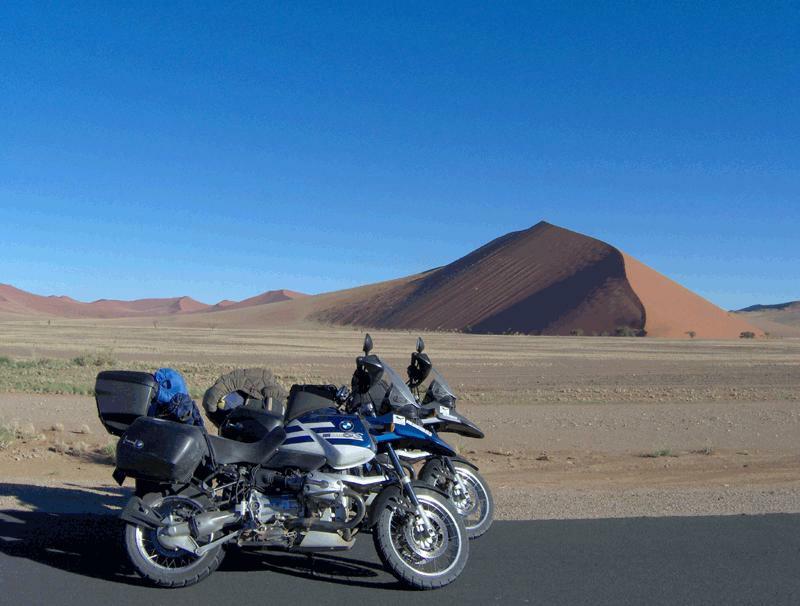 On this magnificent motorcycle tour you will have the possibility to experience countless adventures. Just to name a view: you will visit the Makgadigadi Pans, the largest Salt pans in the world. You will have a whole day to explore the Victoria Falls, the largest sheet of falling water. 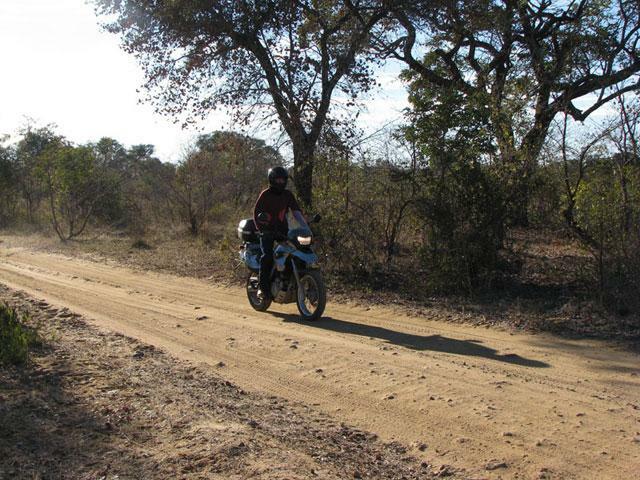 You will ride along beautiful roads and view African homesteads and lush African bush. You will do Safari tours and river cruises. You will visit Swakopmund, the adventure capital of Namibia. This coastal town, with wonderful German restaurants and shops, is famous for its great waves, beautiful sand dunes and German hospitality. The views over Africa’s largest canyon “The Fish River Canyon” will take your breath away! The canyon is 100 mi long and up to 17 mi wide and 1.805 ft deep in some places. You will take a ride in an African canoe and relax your “motorcycle riding muscles” in a hot water pool. You will make your way down to Cape Agulhas - the southernmost tip of Africa, the place where the Atlantic and Indian Ocean meet. You will also visit Cape Point and Boulders Beach, where you will be able to view Jackass penguins right on the beach! You will do a spectacular ride around Cape Town and you will have great views of Table Mountain. You will stay in comfortable breakfast lodges which are typical for the areas. Fall asleep listening to the great sounds of the African night or relax on the deck overlooking a river and enjoy an unforgettable African sunset while being serenaded by Hippos and African Fish Eagles or relax and enjoy a phenomenal stargazing. You will take home loads of awesome photographs and fond memories of South Africa and the warm people you have met. 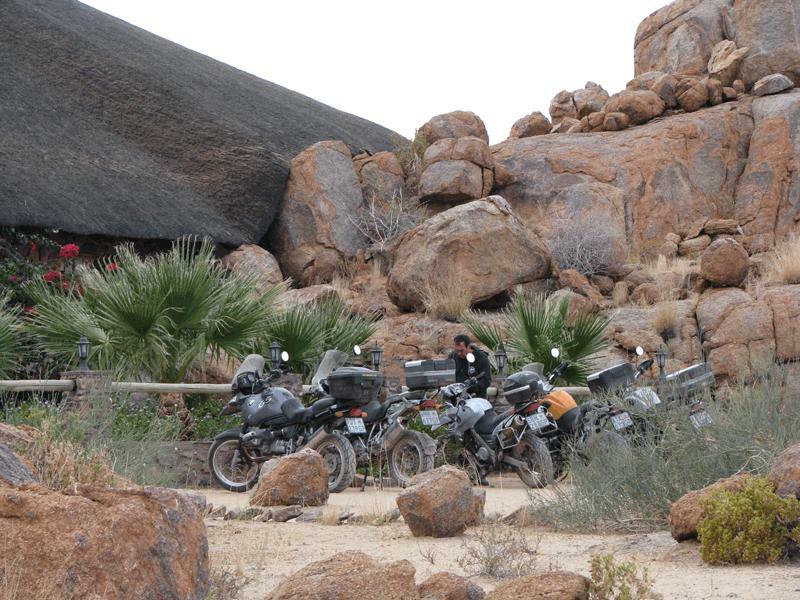 This adventure tour is suitable for any experienced motorcyclist. Passengers are welcome and riding two-up is no problem. A support vehicle will carry your luggage. Note: All prices are based on a minimum of 4 riders per group. All services not specified in the "included services" section, such as airfare and cross border fees. Ask us using our online contact form. complete our online reservation form.